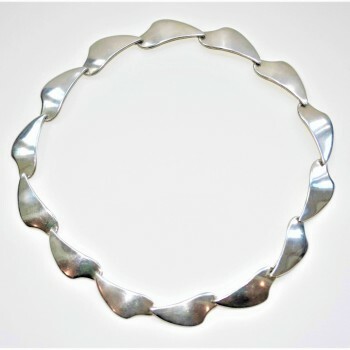 Vintage sterling silver Danish necklace by Aargh & Krogh of Denmark c1950. In excellent vintage condition with original patina. Measurements: approx. 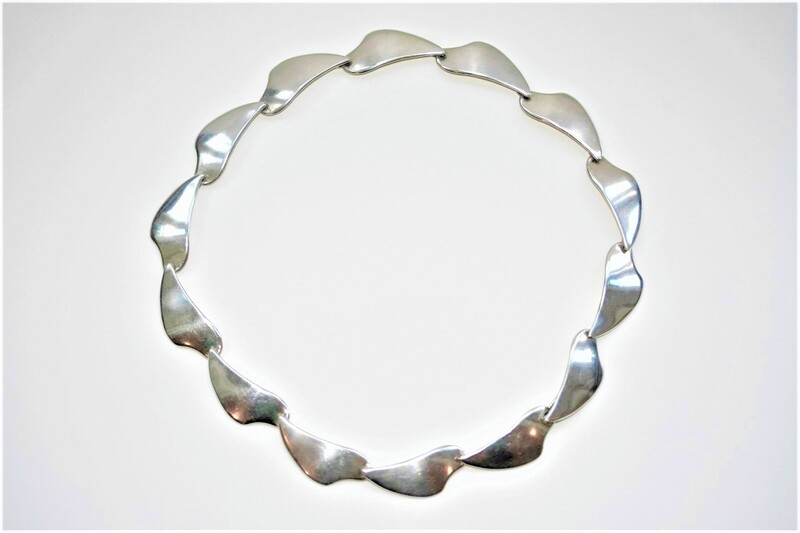 16″ length x 0.5″ at widest point of each link. 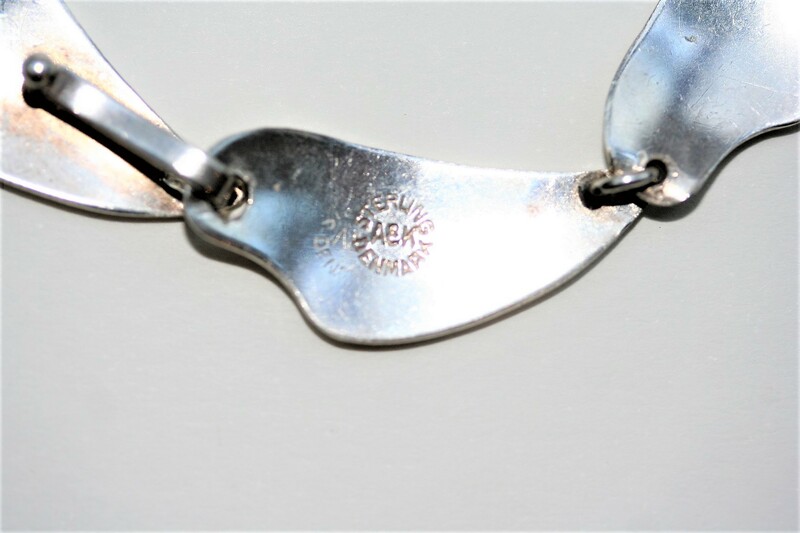 Fully hallmarked for sterling silver, along with makers marks to reverse.